My general clothing philosophy is comfortable, casual and fuss-free. This basically means that I live in knits. Knit tops, dresses, pants. You name it, I probably own it in a knit. Since I would much rather shop for fabric than shop for clothes and needing an excuse to play with my new machines, I whipped up a new t-shirt this weekend. 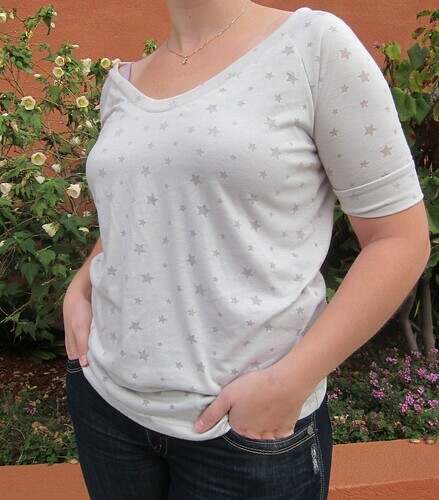 This is the Sloppy Josephine Tee by Papercut Patterns which I bought a few months back when my lust for knits and sergers blossomed into a full blown obsession. 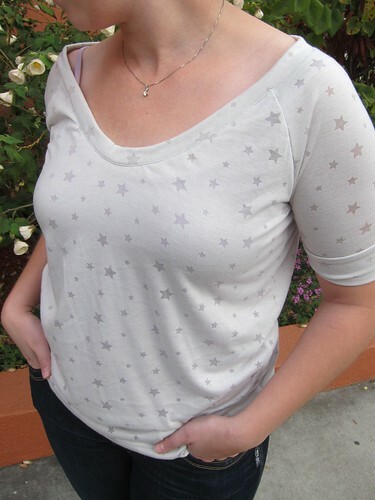 I used some burnout jersey knit star fabric that I bought with Kelsey when we were in Seattle. It's a rayon/cotton blend jersey that is super duper soft and downright snuggly. This top went from fabric to finished in only a few short hours. The pattern was pretty straightforward if a bit light on instructions. I didn't alter it at all except to add some top stitching to the neckline. I'll likely shorten the neckband a bit on the next one so that it holds everything in a little more but otherwise this is pretty much exactly what I was looking for. And the new coverstitch machine? Genius. 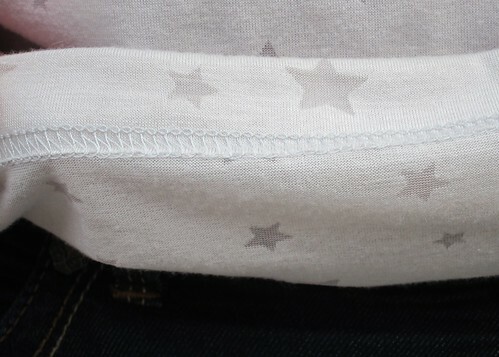 The hem was finished cleanly and professionally in about 15 minutes. It was so easy and painless that it might even have been my favourite part of the whole process. The finished result is extremely comfortable and dare I say, stylish. 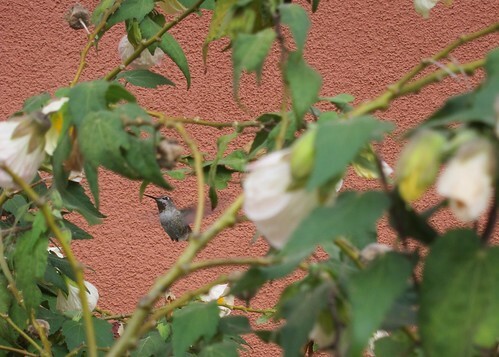 So cool in fact that even this little guy decided to fly in for a closer look (and probably some breakfast) while we were out taking photos. Happy weekend friends. What did you make? Super cute and comfy looking! I want a coverstitch machine so badly! Really cute top Amanda! I am very jealous of your overlocker and your knit sewing skillz!